Get your Baseball Canada Toques today! Register for the Baseball Canada National Teams Awards Banquet and Fundraiser today! 18U Worlds Breaking News: CANADA TO PLAY FOR GOLD! Women’s World Cup: CANADA WINS BRONZE! ‘You Wish You Could Throw Like a Girl Poster Contest’ winner revealed! Get your vote in for Girls Poster Contest! Girls Baseball Poster Contest: Vote Today! Les Smeyers is the 20,000th coach! Who will be the 20,000th coach? Baseball Canada Introduces On-line Auction! Baseball Canada auction now open! Out of the following five choices, which one do you feel should move on to the semi-final round? Watch as the Canadian Junior National Team travel to the Dominican Republic to play against MLB affiliated academy teams. Baseball Canada would like to thank Gord Chubb, father of 1995 Senior Team alumni, Marty Chubb, for transporting Team Canada's equipment throughout North America. For your shipping needs, contact Capital Traffic Systems toll-free at: 1-800-488-2991. 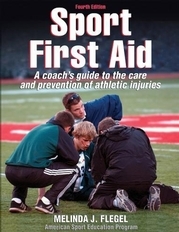 As a coach, you’re likely the first on the scene when one of your athletes falls ill or suffers an injury on the field of play. Are you prepared to respond? What exactly is expected of you—by your athletes, their parents, and the law?